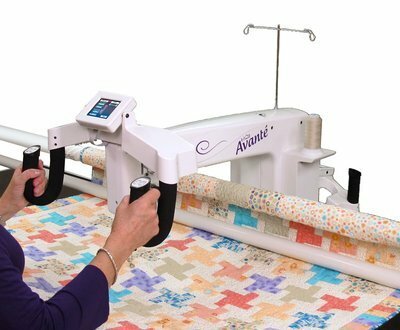 For the quilter who is looking for more quilting space, but wants a machine that makes the most ef­ficient use of a quilter’s reach, the HQ18 Avanté offers precision stitching with 15” of quilting space. Multiple track, table and frame options are available to suit your budget. 2 modes of stitch-regulation: Precision and Cruise.